Another 477 trains to be partially cancelled or diverted between April 20 and May 6; major infra works to be carried out at Arakkonam. CHENNAI: As many as 967 local and Express train services operated in the Chennai-Arakkonam section will get disrupted as the Chennai division began major yard remodelling works at Arakkonam station, which will last for 17 days.Owing to the works, 490 train services will be cancelled, including 416 local services operated in the Chennai-Arakkonam-Tiruttani section and 59 passenger trains and 15 Express services passing through Arakkonam. A total of 477 trains, including Express and passenger services, will be partially cancelled and diverted via alternative routes. 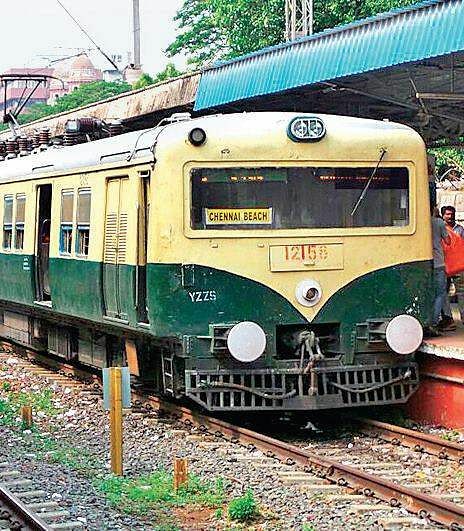 Addressing reporters here on Friday, Chennai Divisional Railway Manager Naveen Gulati said line block was sanctioned for five hours between April 20 and May 1. During this period, there will not be much train disruption. From May 2 and 6, the signalling system of the Arakkonam yard will not be available and of the 10 running lines, only two will be available without signalling system, due to which Express trains will be cancelled. “On an average, a total of 81 EMU train services will be cancelled a day,” he said. The yard remodelling works involve straightening of platforms 1 and 2 to accommodate 26 coaches, and extending the length of platforms 10 and 11 to accommodate 24 coaches. An additional line of 945 m platform (1A) will be developed. Gulati said though the remodelling works would cause minor inconvenience, they would enable faster movement of trains and pave the way for infrastructure improvement at Arakkonam. He also urged the passengers to check train availability for the 17 days. “We have opened passenger information centres at Arakkonam, Chennai Central, Tiruvallur and Tiruttani. The details of cancelled trains will be intimated through display boards at all stations,” he added. Between May 1 and 6, nine pairs of passenger specials are planned between Chennai and Tiruvalangadu. Except those trains diverted, all Express trains will stop at Arakkonam, the DRM said. He added that separate timetable would be released for specials operated to Tiruttani. “During this period, all mails and Express trains running on the Gudur-Chennai/Perambur-Arakkonam-Jolarpettai route will be diverted via the Gudur-Renigunta -Tiruttani-Melpakkam-Katpadi section,” he said. If passengers do not wish to travel on the diverted routes, they can cancel tickets and train fare will be refunded. “We have also intimated the train cancellation through mobile text messages and social media,” he said.According to an official statement, the Chennai-Tirupati Sapthagiri Express will be cancelled fully on April 21, 22, 23, 28, 29, 30 and May 6. Similarly, on May 6, the Chennai Central-Mysuru-Chennai Shatabdi Express, Coimbatore-Chennai Central Cheran Express, Chennai Central-Coimbatore-Chennai Kovai Express and Chennai Central-Jolarpettai-Chennai Central Yelagiri Express will be cancelled fully.